Every day we see at least a few beautiful Monarch butterflies in our fields. Usually they are moving too fast too take a picture but recently, we found this sitting still on a leaf. Monarch butterfly, with wings closed, posing for the camera. 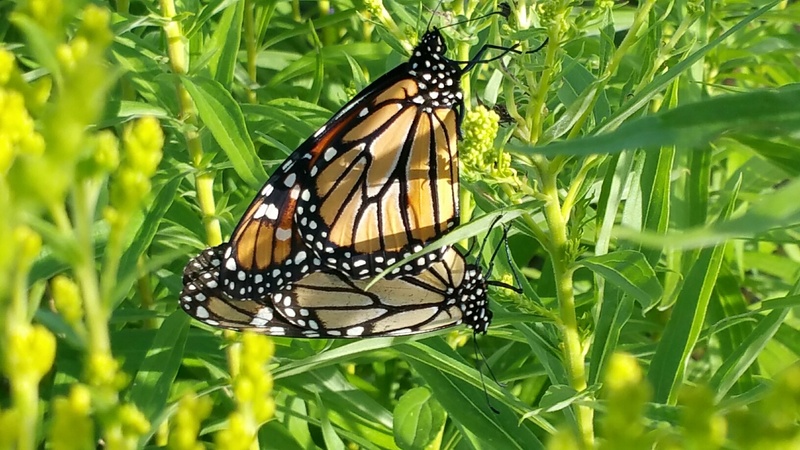 Monarch butterflies are said to be endangered, partly because of reduction in Milkweed plants which are the main food of the developing caterpillars. Fortunately, our land has a lot of Milkweed plants and we don’t have plans to remove them. 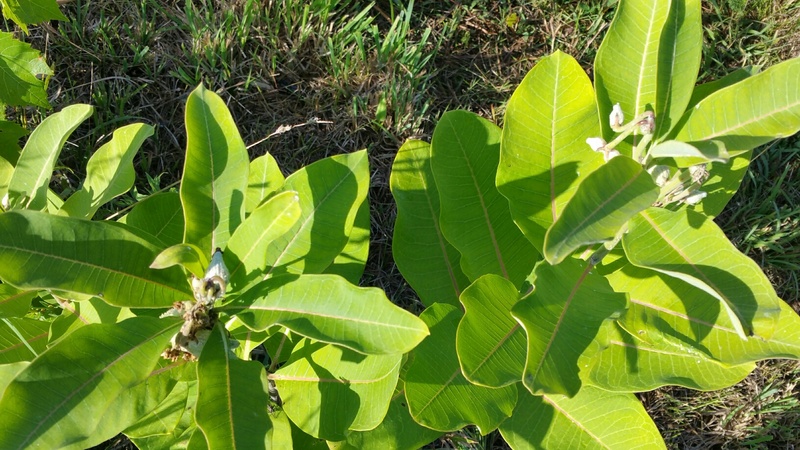 Milkweed plants. The flowers have just finished. 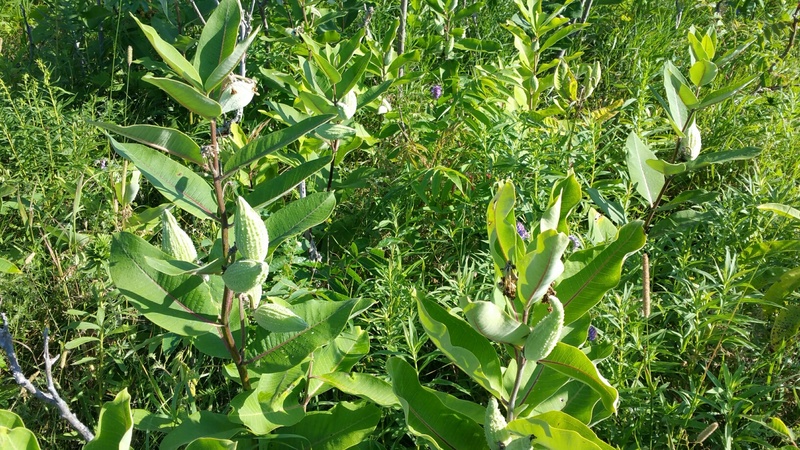 Milkweed plants with developing seed pods.